Added 2 banner types so far: 1 * 1 and 3 * 4. The wool can be any color, for that matter. You can color both types with the usual color dyes, just like wool. Every single banner has got a different image. Statues can, in theory, take any model of a mob, although in special cases it looks weird, so I didn’t add them. If you activate them with Redstone, they come to life. The material determines traits like life or fire immunity. [Note: They are supposed to keep their statue texture, but that’s not possible at the moment] Also, you can equip some statues. Currently works with Skeletons, Zombies and Zombie Pigs. Technical data: The damage value of the statue determines its looks. Some mobs are visually incompatible [they’ll look weird! ], others just won’t work and will be replaced by a pig statue. You can certainly try making statues of all your favorite mobs though (modded ones included!). Get the item IDs from the properties file, and your mob IDs somewhere else. The treasure pile looks pretty nice in combination with other objects (see screenshots), though not as good if used alone. It’s a nice way to store Gold stylishly. It connects to other piles automatically. The flag is available in 2 sizes, 2 high and 8 high. In theory, it can easily rotate with the wind, but as there is no wind right now, they just wave in the direction the clouds are going. They are animated, and change their detail level with the “Fancy graphics” option. The wool can be any color, for that matter. You can also color the finished flags just like cloth or banners. 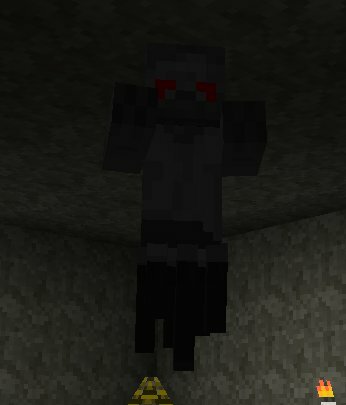 A new Mob that will fly through walls to get you! It spawns in mushroom biomes, though only rarely. A small decorative object. It is only 0.2m high, so you can still jump on top from a block below. The wool can be any color, for that matter. You can also color carpets by using dyes, just like you would with wool. This is not a ‘mods folder’-mod. It needs to be installed directly into your minecraft jar.